The popularity of drones is soaring across the country. Derbyshire police received almost 100 calls relating to the use of drones last year, we can reveal. A Freedom of Information request to Derbyshire Constabulary found that the force received a total of 91 calls about drones in 2017, with 26 of them listed as ‘nuisance’ and 20 as ‘suspicious circumstances’. Other calls related to theft, burglary and criminal damage. Of the 91 calls, a crime was deemed to have been committed in 10 of them. One of the most high profile cases in Derbyshire involved a man called Nigel Wilson, from Bingham, Nottinghamshire, who admitted taking a video over Derby County’s iPro Stadium while a match was being played in 2014. 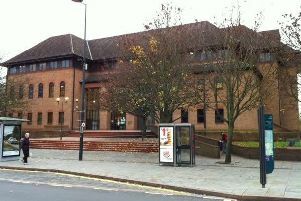 He was fined £1,800 for a total of nine similar offences.